The King is I and you, dear reader are my subject. As the King you must pay attention, do not forget this key point. I will tell you this tale. I, the King have needs, everyone has needs. But on this certain occasion I needed to eat. I requested/ordered the Castle chef to prepare me a banquet and my village taste testers to prepare their palette. I can't have a certain event happen again. The feast was filled with delicious cuisines from my chef's interesting mind. Meat, seafood, wheat foods. It was amazing. But unfortunately for me, they forgot one of the needs for proper culinary eating. To ensure the food doesn't spoil. My taste testers put the food to the test. Of course it passed but for me the next day something didn't quite pass. Let me be clear, I am a human with needs and this time I needed to excrete. Unfortunately royalty do not get to exceed the human condition. The event that occured previously was a bad case of spoiled lamb soup. That event brought about a plague upon our poor kingdom. This time it was just some sea creature/s. To be bested by a clam. I ate some bad clams. Clams, man. Not even once. Perks of having a shellfish allergy: good excuse to never have to risk getting and dealing with shellfish poisoning. Just die directly, instead. Also, nice /s you slid in there. 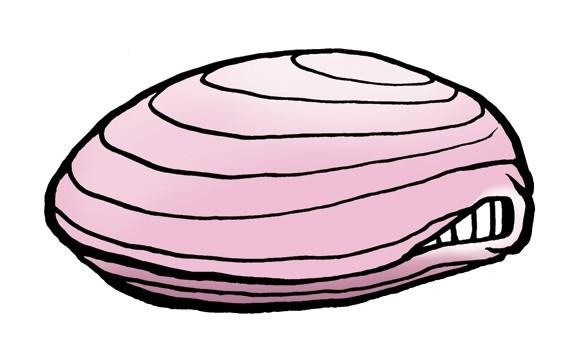 Thrawn wrote: Clams, man. Not even once.